Looking for a statement in your backyard? 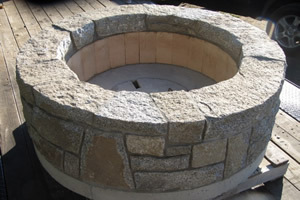 This local made fire pit might be for you! Built out of salt & pepper granite from the state of Maine, this custom wood fire pit is one of a kind. Coloring and sizes can be customized.